Garlon Green, 27-year-old American guard/forward, was added to Khimki Moscow Region’s roster. Garlon Green, Gerald Green’s brother, is now a Khimki player, as the club announced. He spent the last three seasons in Germany and Belgium, but will debut in EuroLeague with his new team. The agreement between the player and the team reaches till the end of 2018-19 season with an option of early termination. Last year, Green made his first appearances in the FIBA Europe Cup. He scored 15.3 points per match with Belfius Mons-Hainaut. His only previous European experience was in Germany as a Tubingen Tigers player. Like his brother, Garlon has had success in slam dunk contests. He achieved 1st place in the BBL All Star Game Slam Dunk Contest two years ago. 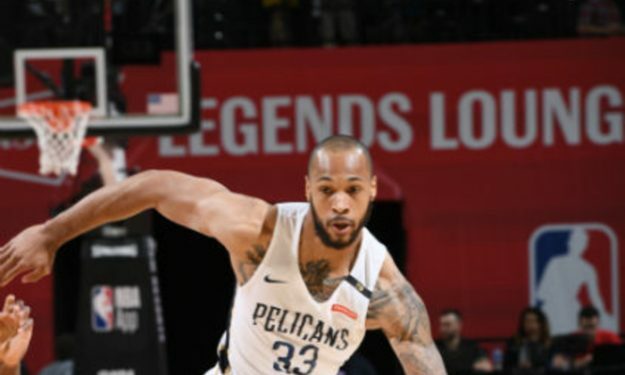 He started this season playing in the NBA Summer League with the New Orleans Pelicans, but didn’t find a spot in the final roster. Check out Khimki’s new player profile. In Georgios Bartzokas club he will replace Casey Prather, who is injured and hasn’t helped the Russian team from the beginning of 2018-19. The 27-year-old American guard/forward remains contracted with Khimki. Bartzokas said about Garlon Green: “We decided to add another player, first of all, because Prather is out for some period of time. We take part in very difficult and competitive leagues like VTB United League and EuroLeague, and we needed one more player in our backcourt. Garlon Green is my decision. In my opinion, he is a very interesting player, a versatile guy who can play very good defense. Also, he is a good spot up shooter. We’ll see on the process of Prather’s recovery and take decision on Garlon, how he will help us on this level”.